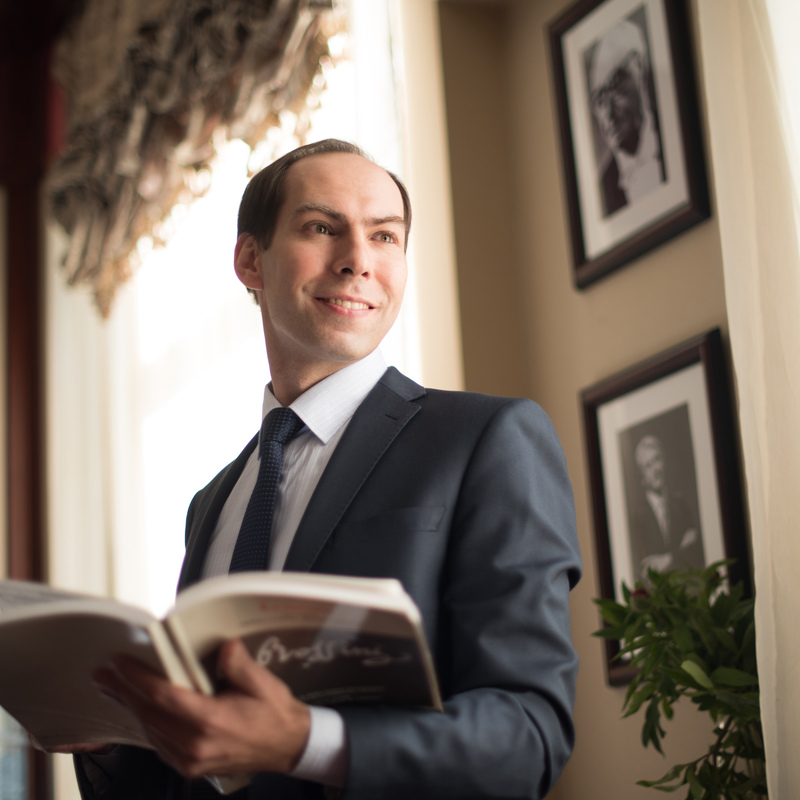 Mr. Aleksei Petrov graduated in 1999 from the Sveshnikov Moscow Choral School; in 2004 he graduated from the Academy of Choral Art in choir direction (Prof. Victor Popov) and in singing (Prof. Dimitri Vdovin); in 2008 he received a post-graduate diploma in Artistic Sciences. Since 2004 he has taught at the Academy of Choral Art (Moscow). In 2005 he obtained the First Prize and the Special Prize for the First Competition for Choir Directors in Moscow, while in 2016 he won two Gold Medals at the IX Edition of the World Choir Games (Russia). Aleksei Petrov succeeded Professor Victor Popov in the direction of the Grand Chorus of the Academy of Choral Art. Under his direction several choral ensembles of the Academy have performed concerts in Russia, Europe, Japan, USA, Mexico, Canada, and participated in major national and international choral festivals: Colmar Music Festival (France 2004, 2008, 2010, 2013) ; Europalia (Belgium 2005); Oldenburger Promenade (Germany 2004-2006, 2008, 2012-2014, 2016); Festival de Música de Canarias (Canary Islands, 2008); Rheingau Music Festival (Germany, 2008, 2010); Graubuenden Festival Snow and Symphony (Switzerland, 2011), Moscow Easter Festival (Russia 2007, 2009, 2014, 2015, 2017, 2018); Spasskaya Tower (Moscow 2009), Cherry Orchard Art Festival (Moscow 2010, 2013); Christmas Festival of Sacred Music (Moscow 2011, 2012); International Music Festival dedicated to Johann Sebastian Bach (Moscow 2011), Felix Mendelssohn (Moscow 2012) and Sergei Rachmaninov (Moscow 2013), Grand Festival of Russian National Orchestra (2012-2016). 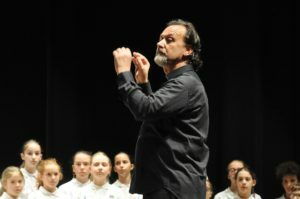 As a choir director, Petrov has collaborated with illiterate directors and singers. In 2008 he made his debut as a conductor with Rossini’s work ‘Il Viaggio a Reims’ as part of the ‘Durance Luberon Festival’ (France); in 2009, assisted by Maestro S. Sondeckis, he conducted Beethoven’s Ninth Symphony in the Bolshoi Hall of the Moscow State Conservatory, ‘New Russia’ Orchestra and a choir of 800 singers. Since 2010, as a guest conductor he has performed with the main symphony orchestras of Russia. In 2012 he directed Mozart’s opera ”The Marriage of Figaro’ in the Krasnoyarsk Opera House. In 2014 he directed the anthem of the Russian Federation at the closing ceremony of the XI Winter Paralympic Games in Sochi. In 2017 he directed the opera ‘Eugene Onegin’ by Ciajkovskij on the stage of the Yaroslavl State Philharmonic. A. Petrov is a world-renowned specialist in the field of orchestral conducting and choir conducting; he took part as guest professor in important music festivals such as ‘Europa Cantat’ (Hungary, 2015), China International Choral Festival (China, 2017-2018), Montecatini Opera Academy (Italy, 2017-2018). Aida Swenson is the founder and conductor of the Indonesian Children & Youth Choirs – Cordana, who has gathered international recognitions and awards and has performed among others in: USA (“the National Convention of the ACDA”, Miami), Canada (“Festival 500”, Newfoundland), Poland, Korea, Denmark (World Symposium of Choral Music), Argentina, Germany (Musica Sacra), France (Polyfollia World Showcase) and in different Asian countries such as Japan, Philippines and Singapore. 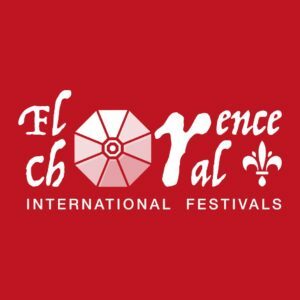 In 2015 they participated in “Taipei International Choral Festival” and in Macau (International Federation of Choral Music) and in 2016 in the European Youth Choir Festival – Basel, Switzerland. As a graduate of the Westminster Choir College, USA, Aida conducts numerous workshops in Indonesia and abroad and adjudicates national and international events. Her activities as a juror includes in: USA, England, Germany, China, Austria, Hungary, Korea, Philippines, Malaysia, Hong-Kong, Vietnam, Singapore and Argentina. 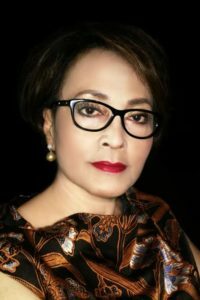 Aida has spent many years traveling throughout Indonesia creating and leading choirs, giving masters classes, and training choral conductors. Her professional activities include: Council Member of the World Choir Games for Indonesia, Member of the Advisory to Council of the World Choir Games (Interkultur), Chairman of the National Foundation for the Development of Choral Music in Indonesia, Member of Advisory of the Foundation of Church Music (YAMUGER), Member of the committee APCS-IFCM and she is the Artistic Director of the National Christian Universities Choir Competition in Indonesia (PESPARAWI). Aida is featured in the “World Who is Who in Choral Music”. Fabio Pecci studied violoncello at Ravenna’s “G. Verdi” Music School graduating with brilliant results. As a cellist his busy concert activity has led him to perform in theatres and concert halls in Italy and abroad. He has been awarded prizes in many competitions and has recorded seven CDs for Tactus, Bongiovanni and other labels. He founded and directs “Le Allegre Note” treble voice choir and “Note in Crescendo” youth choir, with which he has also performed in prestigious theatres. With these two choirs he has over 500 performances, audio and television recordings to his credit. With them he also recorded three albums which include his own choral arrangements. With Note in Crescendo he has held concerts in Germany, France, Switzerland, Poland, Sweden and in Czech Republic. With Le Allegre Note he also took part in the production of ‘Te Deum’ by H. Berlioz, held in Bologna in October 2008, under the direction of Claudio Abbado. He was responsible for the treble voices in the production of ‘Carmen’by G. Bizet and “Tosca” and Bohème by Puccini, in many theatres, as well as for ‘Carmina Burana’ by C. Orff, with the soloists of the Academy of Santa Cecilia in Rome. He is an enthusiast of children’s vocalism and directs 5 children and youth choirs. As a choir director, he has received awards and gained recognition in many National and International Competitions, with seven first prizes. Since 2013, he is a member of the Artistic Committee of A.E.R.CO – The Regional Choirs Association. 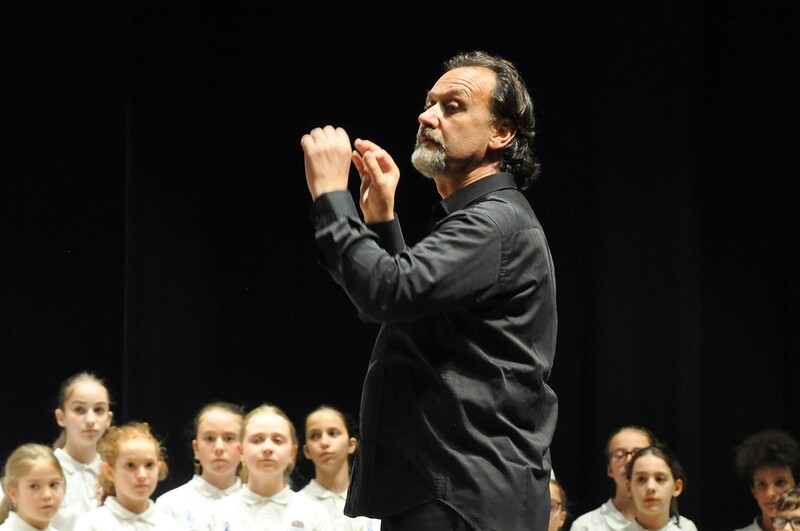 He was a teacher at the “Spring Festival” by FENIARCO in Montecatini 2016 and 2017 and as conductor of the youth choir “Note In Crescendo” he represented the Emilia Romagna region at the National Choral Festival at ‘EXPO Milano 2015’. He is the Artistic Director of the “City of Riccione” Choral Competition and member of the Jury in many Choral Competitions. 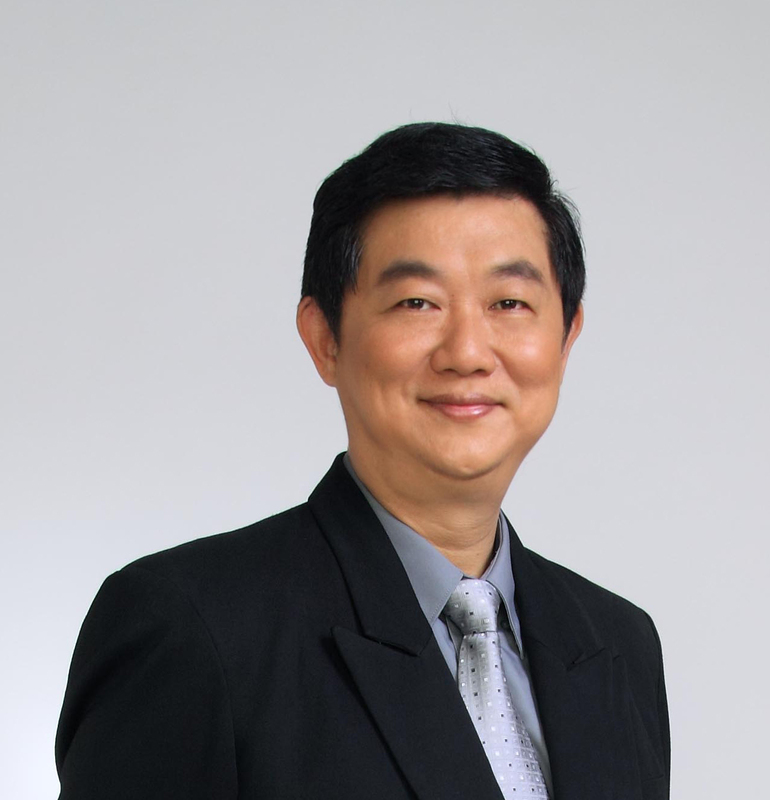 Mr Nelson Kwei, the premier choral director of Singapore, is an international acclaimed conductor, conservatorium lecturer, editorial advisor, international adjudicator, composer and vocal clinician in the music scene. He is a Fellow from the London College of Music, has a Licentiate in singing from the Guildhall School of Music and Advance Post-Graduate in Choral Conducting from the Royal Academy of Music (London). He is currently an Associate of the Royal Academy of Music. In 1993, Professor Kwei was honoured with the National Youth Service Award, the highest Youth Award in Singapore, in recognition of his significant contribution in the field of choral art. In 1999, he was awarded with the Culture Award by the Japanese Chamber of Commerce and Industry. In 2011, COMPASS Singapore awarded Professor Kwei with the prestigious Meritorious Award in view of his outstanding artistic achievement and contribution to the nation.Internationally, Professor Kwei won the prestigious Outstanding Choral Director Award two years in a row at the International Choral Competition (Germany, 1998 & 1999) and also the Best Conductor Award at the Petr Eben International Choral Competition (Prague, 2002 & 2004). In recent years, he has led his choirs to more than 200 Gold awards including three Choir Olympic Champions in the World Choir Games held in Bremen, Germany & Xiamen, China. His choir was also the first Asian choir to win the Grand Prize & Audience Prize at the prestigious Concorso Corale Internazionale held in Riva del Garda, Italy. In 2008, he was conferred the Conductor Prize in the 10th edition of the internationally-acclaimed choral competition. In 2012, he won the Outstanding Conductor Prize at the prestigious Sing’n’joy Vienna International Franz Schubert Choir Competition. In 2014, he set another world record at Hoi An International Choral Competition where Victoria JC Choir won all four Categories Champion title.Presently, he is the artistic advisor of Singapore Choral Association, the Artistic Director of Singapore Music Festival and Singapore Choral Festival, and the Vice-Chairman of Singapore Musician Society. He is an executive member of the National Arts Council’s Advisory Board for Choral Development in Singapore, the NAC external assessor for music, as well as the artistic director of prominent international choral competitions, ‘A Voyage of Songs’ and ‘Asia Cantate’. Mr Kwei has also been invited as both clinician and adjudicator in many top international choral festivals and competitions including the World Choir Games Series. Currently, he is the conductor of many schools, colleges, a university and semi-professional choirs in Singapore that have won numerous national and international accolades. He is also responsible for mentoring more than one-third of Singapore’s choir conductors. Tatiana Zhdanova – artistic director and chief conductor of “Radost” choir, graduated from the Moscow State Conservatory. She has been performing and conducting for 59 years and her name is well known in Russia as well as abroad. In 1980 she founded a musical choir school “Radost”, and since then has toured with her choir to over 30 countries of the world, participating in choir competitions and musical choir festivals. 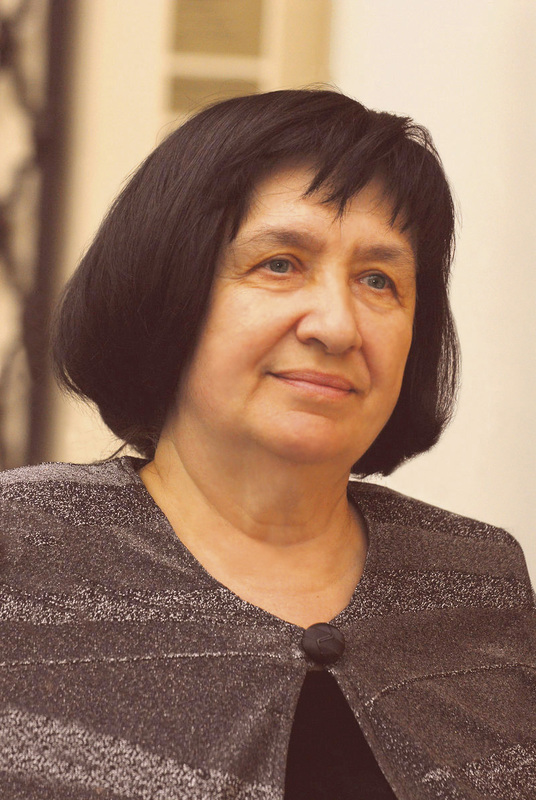 Tatiana Zhdanova has been awarded the President’s Prize, Moscow City Administration Prize, twice has been a Laureate of “Grant of Moscow” competition. She is curator of the vocal-choir genre at The Moscow Committee of Education; the director of the Moscow International Children’s Choir Festival “Moscow Sounds”. 2006 she has been awarded the title Honored Artist. Tatiana Zhdanova created a stable system of concert activities of the Moscow children choirs. She arranges vocal choir festivals, competitions, musical choir shows, such as ones held during the festivals “Young Talents of Moscow”, “Christmas Carol” and“Easter Festival”.